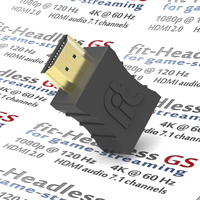 fit-Headless GS display emulator for game streaming, supporting 4K @ 60 Hz, 1080p @ 120 Hz, HDMI audio 7.1 channels. 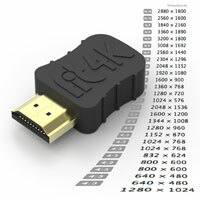 HDMI 2.0 compliant. 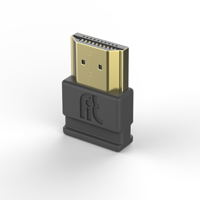 fit-Headless DP Mini-DisplayPort display emulator supporting resolutions of up to 4K for remote desktop access to a headless PC or Mac Mini. 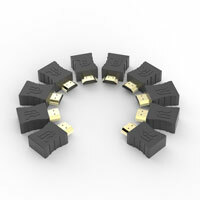 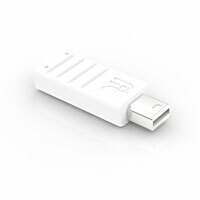 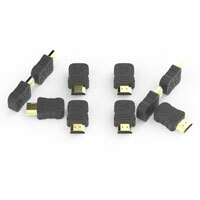 Adapter for full-size DisplayPort included.